Unlike salaried employees, who have a regular source of income and have to only worry about the paycheck at the month end, startup entrepreneurs have to worry about personal finances at all times. Scaling business, growing revenue, and increasing profit is only part of the battle, entrepreneurs also need to focus on how they can save, grow and manage their finances optimally. Since in the initial stages of any venture, the founder/entrepreneur is the only source of funds, it's paramount that the finances of the founders are in order to support both the venture and to cater to the family needs. Empirical data suggests that more than ninety percent of ventures fail to take off and die a natural death in a couple of years, lack of funds is the prominent reasons for startups going belly up. Entrepreneurs most of the time do not have a clear idea as to how much bootstrap capital is required to sustain a venture for a couple of years before new capital is available from investors. In this light, it is extremely important that an entrepreneur should have sufficient savings to see through his/her venture at least for a few years. As a rule, entrepreneurs should save at least for two-three years of their family expenses apart from the start-up expenses. Entrepreneurs must also create an emergency fund and park it in a separate safe instrument such as a bank savings account or fixed deposit. The most important thing is to never start one’s entrepreneurial venture by borrowing money upfront, all steps should be taken to start the venture from saved funds rather than debt. Avoid unnecessary business development travel and meetings, leverage technology and use tools that facilitate online group work and cut down unnecessary travel. Entrepreneurs should try to extract maximum value from every dime that is spent in support of one’s business. The start should always be small and scaling up should be gradual. The focus should be on creating a solid foundation first with very little fixed expenses, a solid framework that can support rapid future expansion should be the goal at least for the first year of operations. It cannot be stressed enough that entrepreneurial success largely depends on adequate financing for the venture in the formative stage. Since the entrepreneur is the only source of funds in the initial stage, it is critical that the personal finance of the founder is in order. Most entrepreneurs are mavericks who are married to their business ideas and are relentless in their pursuit of success for the venture, however, sometimes entrepreneurs follow their dreams at the cost of their personal riches and their families’ wellbeing. It is very common that entrepreneurs keep funneling money into unviable business ideas out of stubborn pride, although it's important to see one’s idea though, it is also important to call it quits when the business idea is unsustainable. In pursuit of success entrepreneurs ignore their personal finance, and often get into debt-trap that is hard to evade, entrepreneurs should desist from debt especially short term finance and credit card debt to meet their entrepreneurial expenses, if there is a need for finance the first attempt should be made to get soft loans with favorable terms and flexible time schedule from family and friends. Only a minuscule number of entrepreneurial ventures live to see success and therefore it is advisable to all entrepreneurs to have a financial plan B, there should always be some dry powder left alone in case the venture turns out to be not fruitful. Funds should, therefore, be set aside for exigencies and potential failures. 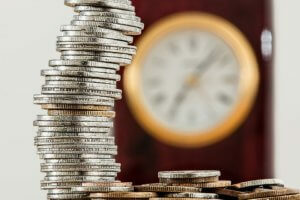 To sum up, key to the success of a business venture is access to ample funds in the initial stages, therefore the success lies in saving enough to pursue one’s dream and to avoid taking costly debt, not ignoring personal finances and above all to always have a financial plan B in case of a failure.